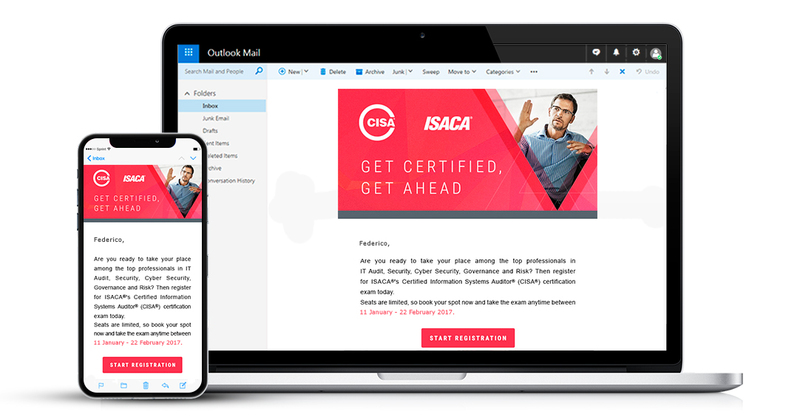 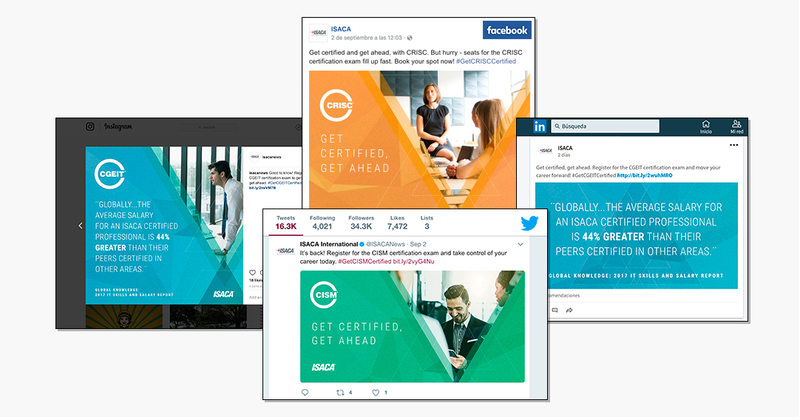 ISACA, an international organization for professionals in IS/IT audit, control, cyber security, security and governance roles, was looking to refresh their brand image and digital marketing strategy while reaching more of their target audience in an upcoming campaign. 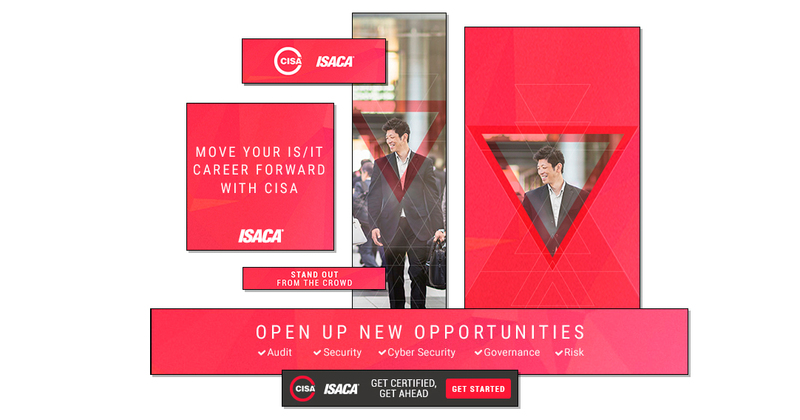 After running several previous campaigns, ISACA wanted to get more creative to drive their KPIs. 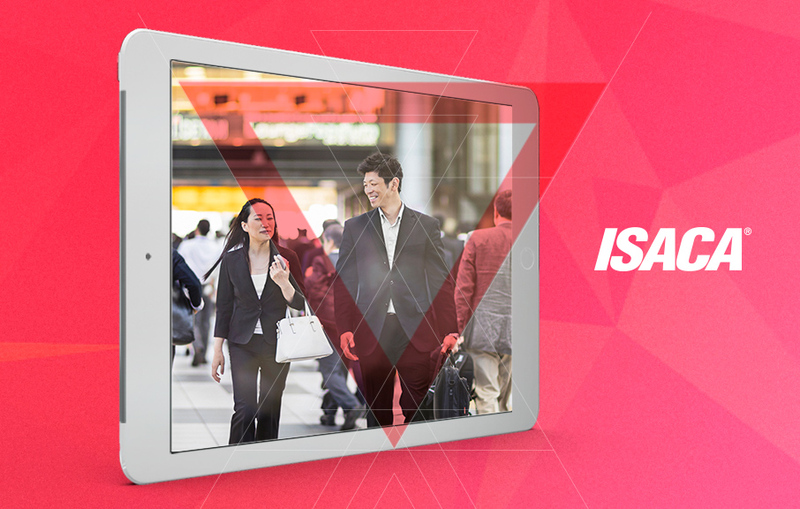 They presented us with their objectives and asked us to mock up several concepts. 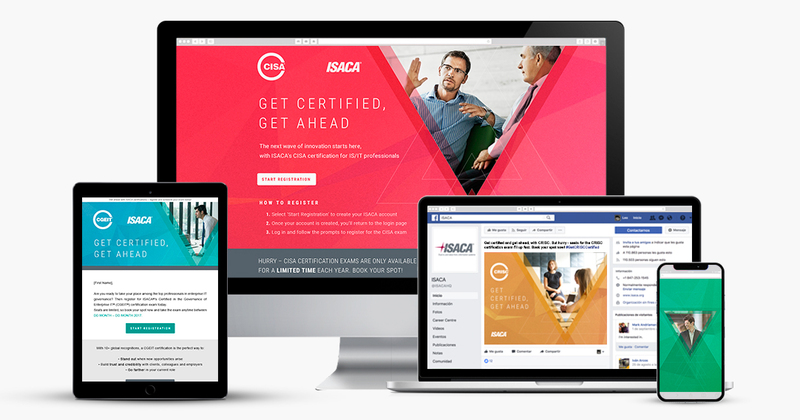 Once the winning concept was chosen, we developed a multi-channel campaign that tapped into the flexible reach of standard ads while staying true to the professional tone ISACA needed to maintain. 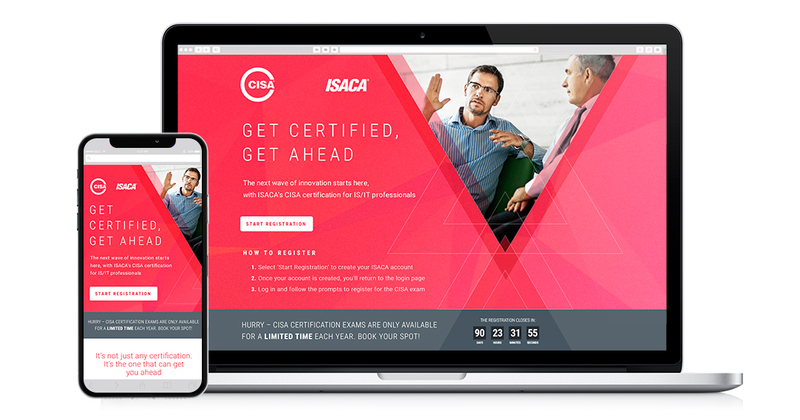 We handled all aspects of digital production and creative development, from concepting and building out messaging, to designing the campaign artwork and building all deliverables.